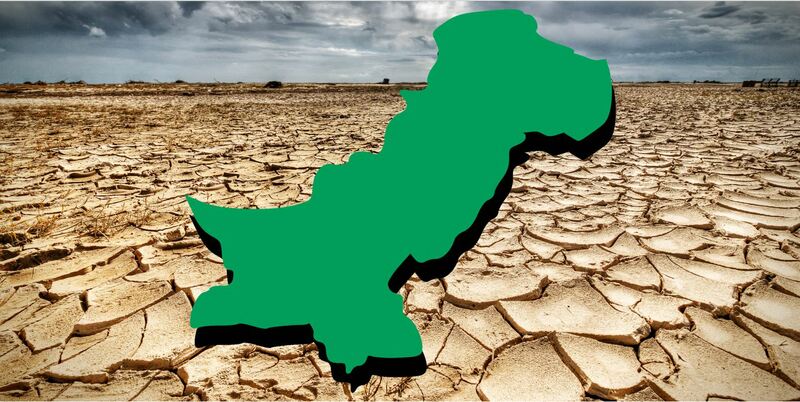 Coupled with the general effects of global warming, Pakistan is facing a certain water emergency. It lacks a water management policy and deficiently handles its available hydel resources. We conveniently take water for granted: we turn the tap on and let the water flow for as long as we are under the shower, shaving or brushing or watering down our cars with a pipe aimlessly, little realizing this luxury will soon evaporate in front of our eyes. We are, indeed, quickly headed towards hotter, drier and catastrophic days. We might even have to start paying the market price for water consumption. Let us see why. Water is vital for agriculture, human life, industry, and energy generation. Globally, agriculture accounts for over 70 percent of freshwater consumption. Industries make the second largest claim on the world’s water bodies, accounting for nearly 25 percent of global water use. Water used by households, schools, and businesses account for less than a tenth of global water use today. Most countries and private companies around the world are planning way ahead to tackle this mammoth problem that the planet is facing, head on. Scientists have been long trying to identify root causes of the lack of fresh water. Some suggested developing methods to use salt water for irrigation, while others toyed with the idea that they could take stem cells from cows to create muscle tissue, just like nature does, to derive meat. Resultantly, the abundance of agriculture will lead to an abundance of fresh water because wastage would be minimized. Compare this with what is happening here; the Pakistan Council of Research in Water Resources (PCRWR) reported in 1990 that Pakistan touched the “water stress line”. This red flag should have been the ultimate wake-up call but…! Then, only a few days ago, the Indus River System Authority (Irsa) warned that Tarbela and Mangla dams are likely to reach the dead level within the next 24-48 hours. This is worrying because national food security is on the line. As much as 40 percent of Pakistan’s energy comes from water. Over 90 percent of freshwater supply is used towards agriculture. An estimated $21 billion worth of water (roughly 35 million acre-feet) is dumped into the sea, annually, since water conservation systems are absent. The stance on a comprehensive National Water Policy is still unclear. How do we prevent the country from running dry by 2025? Compare this “land of five rivers and glaciers” with Israel, which is nearly 60% desert, yet a water superpower. It not only feeds its own population with fruits and vegetables but exports billions of dollars worth of produce annually. Despite the fact that they get little annual rainfall, have only one freshwater lake and no major rivers. How do they do it? Over the years, Israel has implemented a centralized water planning market-pricing system, which works like a pay-as-you-use model. Furthermore, it appointed regulators and educated its citizens to conserve water. Why can’t we take lessons in just one of these areas and start implementing it to our current inefficient water management models? Water reuse is an industrial process that enables the additional use of previously-used water before it returns to the rivers or the sea after it has undergone a wastewater recovery and treatment process that ensures the legally required quality. The ultimate goal of this process is to ‘reclaim water’ that can be directly offered to other users or exchanged for better quality water. Much depends on public policies, but also on individual choices, as well as on the technological options available. The alarm has been sounding since 1990 and the drought time bomb is ticking. Will planners and people at large rise out of slumber to save this country? Originally Published in The Express Tribune, June 3rd, 2018.